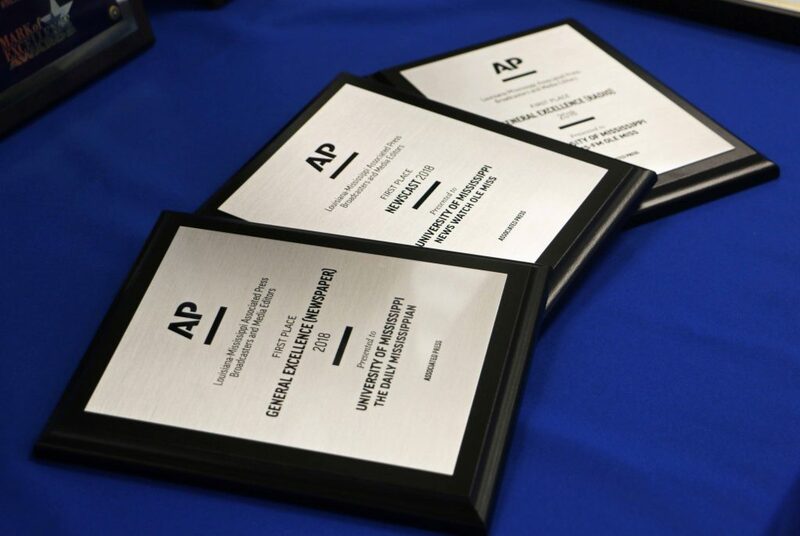 For the fifth year in a row, The Daily Mississippian was named the best daily student newspaper at both the Associated Press and Society of Professional Journalists award ceremonies. NewsWatch Ole Miss also won first place at both the AP and SPJ ceremonies for newscast and best television newscast, respectively. Rebel Radio was honored for general excellence at radio stations, winning first place at the AP ceremony. 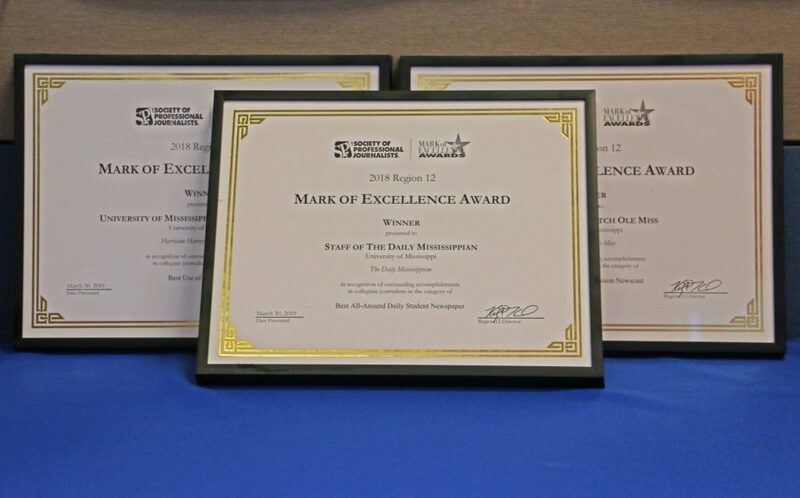 In total, student journalists at the University of Mississippi won 20 first place awards ranging from best overall newspaper to breaking news photography. They competed against students at universities in Arkansas, Mississippi, Louisiana and Tennessee. The competitions are judged by professional journalists. Slade Rand, editor-in-chief of The Daily Mississippian, said it’s always nice to see the DM “holding its own” in contests with weekly and monthly publications, but to take home the top award at both ceremonies is even better. “The standard has been set each year in my three years on the editorial staff here, and it feels great for this year’s staff to be able to uphold that level of success,” Rand said. Abbie McIntosh, station manager of NewsWatch Ole Miss echoed Rand’s praise.